Lea rning List has reviewed Houghton Mifflin Harcourt’s English 3D, which is a supplemental resource to support the acquisition of language skills for English language learners and other students with language deficiencies in grades 4-12. Resources are available in print format. 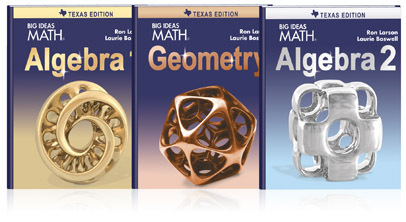 Additional online materials for grades 4-8 are available at HMH Teacher Central, and some resources for grades 9-12 are on CD-ROM. Instruction focuses on improving students’ linguistic and academic skill sets during dedicated time for language development. Instruction is systematic and explicit and focuses on learning and practicing the English language skills, including contextually appropriate language, fluency skills, and purposeful speaking and writing. Across grade levels, student materials include “Issues Books” and “Language & Writing Portfolios.” Issue Books contain cross-curricular informational and literary texts addressing particular issues of interest to students. Portfolios are “interactive worktexts” that support vocabulary acquisition, collaborative learning experiences, and the development of written and spoken language skills. Issues Books address real-world issues relevant to students’ lives, such making health choices, street art, and bullying. The texts build in complexity across the school year. In terms of Lexile (L) levels, texts for grades 4 and 5 range from 770L to 980L, texts for grades 6-8 range from 830L to 1270L, and texts for grades 9-12 range from 890L to 1410L. For each Issue, the Language & Writing Portfolios contain worksheets, graphic organizers, sentence frames (e.g., “Based on my experience, video games mostly [harm/benefit] teens because they are ____ [adjective: enjoyable, distracting] and_____ [adjective: relaxing, violent]”), self-assessment rubrics, and other resources to support student learning. Each Issue concludes with a summative test and English 3D includes beginning-of-the-year, mid-year, and end-of-year assessments of academic language. As a global learning company, HMH specializes in pre-K–12 education content, services and cutting edge technology solutions for today’s changing landscape.